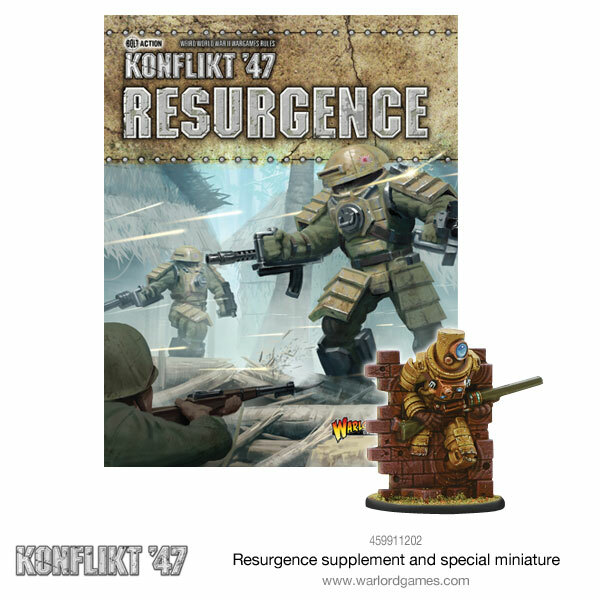 The weird war escalates, each nation is ramping up their arsenal and the Japanese and Finnish have entered the fray in the new Konflikt ’47 expansion book, Resurgence! 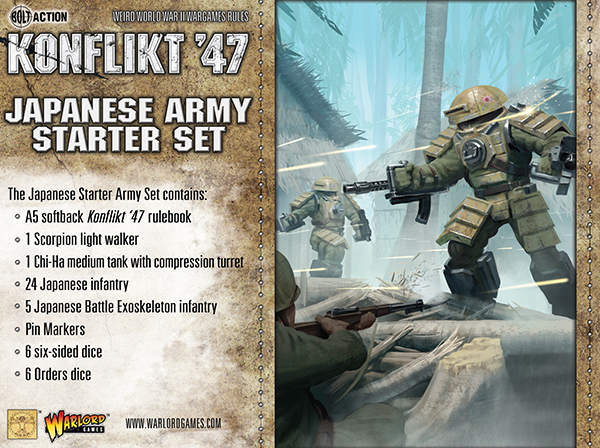 A long-awaited arrival for the Konflikt ’47 sees its universe finally expanding as new armies, units, rules and scenarios take centre stage of this book. 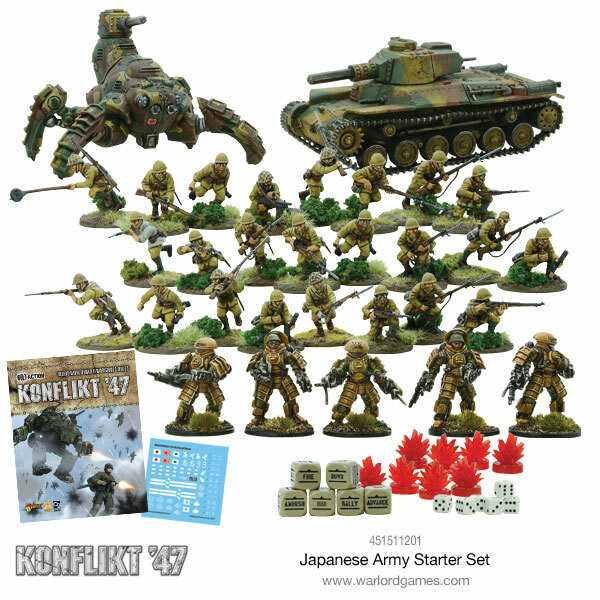 Also within this book contains many rule amendments to adjust Konflikt ’47 away from first edition Bolt Action to the second, newer edition! 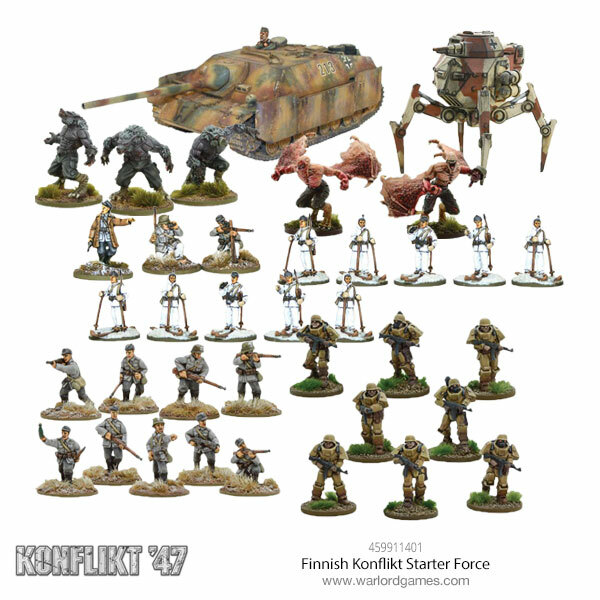 This book is the first supplement for Konflikt ‘47 and aims to develop the original rulebook in a number of different directions. 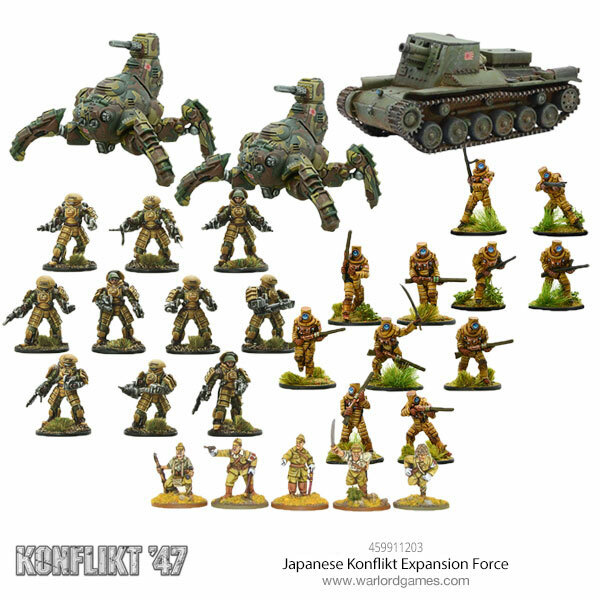 The largest addition is the much anticipated Imperial Japanese Army Lists, but Finnish players will find out what has befallen their country in the latter years of the war as well. We have also taken this opportunity to consolidate the errata and clarifications that have cropped up since the release of the core rulebook.